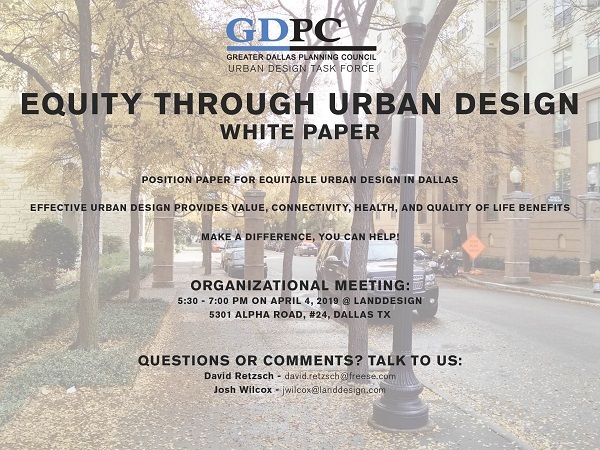 Details: The GDPC Urban Design Task Force will be having an organizational meeting for developing a white paper on 'Equity Through Urban Design'. Effective urban design provides value, connectivity, health and quality of life benefits. Join us and you can help make a difference.